Located close to River Oaks and Montrose neighborhoods is The Piedmont Condominiums, a five-story high midrise residential building with 80 condo units. The Piedmont Condos can be found in 1010 Rosine in Houston, Texas, 77019 just a block away from the River Oaks Shopping Center and the numerous retail boutiques, restaurants and bars within its vicinity. I am interested in The Piedmont and would like to get more details. The five-story high Piedmont Condominiums serve as a fitting centerpiece to the peaceful and affluent neighborhood of River Oaks. Built in 2006, The Piedmont is one of the more modern-themed structures in Houston’s prestigious and exclusive River Oaks area. 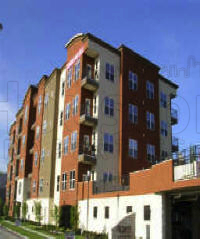 This location also provides Piedmonth condos for sale owners exclusive access to the amazing River Oaks views. River Oaks is an upscale community located in the geographic center of Houston, Texas. It lies north of the Houston district of Upper Kirby, Montrose, east of Memorial, south of Memorial Park/Rice Military and minutes from Downtown Houston. This location gives Piedmont residents easy access to many of Houston’s main spots, including world-class restaurants, dynamic shopping malls and retail outlets, and sprawling business districts. Residents of The Piedmont Condos Houston is also only about four miles from the Central Business District, with easy access to the Greenway Plaza area, The Galleria, Medical Center, and various museums, theaters, and other cultural events. The Piedmont Condominiums is made of wood stud walls and wood floor trusses, with a ¾ inch gypcrete surface on top of felt paper, and a ¾ inch tongue-and-groove plywood, in addition to sound insulation, resilient bar, and a one and 5/8 inch fire-code drywall. Double demising walls with 2 layers of drywall and sound insulation between studs, has been installed to insure privacy among residents, as well as a single-ply, tapered insulation roof over 24-inch roof trusses. The Piedmont condos for sale come in one-, two-, and three-bedroom floor plans. All units are built with unique interior designs featuring 10-foot ceilings, high-quality construction large windows, crown molding, and recessed lighting. Ceramic and hardwood floors, granite countertops, wood kitchen cabinets and other features can be expected in the condos for sale in Piedmont too. Controlled access gate surrounding the property. Controlled access entry door with intercom. Pre-wired front door units for burglar alarm system.